Vintage tribal quilt in traditional bold colors from Uzbekistan. Can be hung as a textile or used on a bed. This vintage tribal quilt is made using a traditional diamond pattern, with white and black contrasting with bright colors. Uzbekistan has an ancient textile tradition: rugs, embroidery and sewing. In the 1980’s women began using synthetic fabrics which replaced the normally used cottons which would fade over time. Such is the case with this one. You will find all kinds of fabrics making up the patchwork design: cotton, polyester, velvet, acetate, etc. It is backed with a white cotton fabric. Condition: Very good. There is one area where the fabric has pulled a bit (see second photo) and a light stain on the back. The main image is a bit lighter than the actual colors. The close-ups are more accurate. For example, the blue around the quilt is a medium blue, not baby blue. And, the red next to that is maroon. This kind of textile would normally be used as a wall hanging, but would also look great on a bed or thrown over a couch. Although you could probably wash and dry this with no problem, I would suggest dry cleaning it. 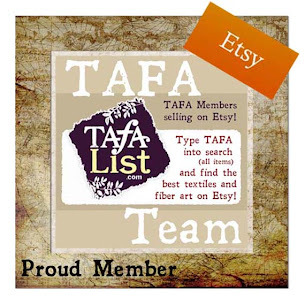 Visit my Rayela Art profile on TAFA!